Winter weather is not fun for skin. Cold weather and low humidity levels result in dry air, which then steals moisture away from the skin every second of every day. Even the things that make winter wonderful, such as sitting by the fire place, can dry your skin. Applying a pure hyaluronic acid serum can help protect the skin from the harsh winter weather. And though taking a hot shower might seem like a good way to warm up, hot water dries out your skin by stripping it of its natural oils. Without immediate care, dry skin can lead to cracking and bleeding, and harsh winter wind makes the problem worse. Indoor heat further robs the air of moisture, as do hot showers or baths and harsh cleansers. Additional moisture helps, but you need to do more to actually counteract these effects and keep skin looking youthful and smooth, like using 100 squalane oil to protect your skin. There are many simple ways to combat the causes of dry winter skin and help keep your skin feeling moist and supple all season long, including some easy changes to your everyday routine. For example, after taking a not-quite-so-hot shower, blot skin dry and apply a thick moisturizer within a few minutes after bathing to seal the water into the skin. Before your skin has a chance to feel the effects of the cold, dryness and wind, bolster your skin care routine with these 5 tips that will keep it feeling invigorated, fresh and soft. By keeping your body hydrated, your skin will naturally follow suit. Water of course will help you stay hydrated, and drinking more will especially help if you don’t usually drink enough. Drinking tea will also help you stay hydrated. But water alone isn’t enough. It needs to be consumed in combination with plenty of vitamins and minerals and salts and healthy fats, from vegetable, fruits, nuts, etc., so that your body retains the water. Use a rich, oil-based moisturizer during the winter months. This will help seal water in your skin and will keep it more moisturized than water-based face lotions. As always, choose organic and know your ingredients! What kept your skin happy during summers can make it sad during winters. And that’s why you need to change your skin care products accordingly. The key to healthy and glowing winter skin is using mild skin care products. Do get the best vitamin C serum to protect your skin. Choose cleansers that contain moisturizers to avoid stripping your skin of its natural moisture barrier. 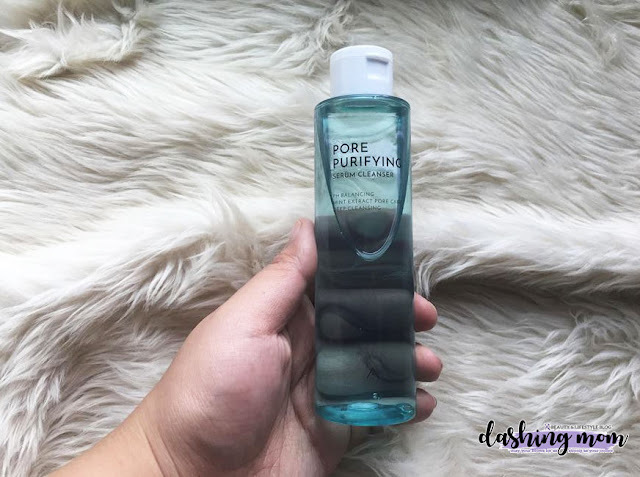 If you have acne or breakouts, use products containing ceramides, hyaluronic acid, hydration serums, and glycerin to help in repairing the moisture barrier of your skin. Dab on some extra virgin coconut oil as it is a highly effective product for skin care. On bright winter days, snow reflects the sun’s rays, up to 80 percent, according to the Skin Cancer Foundation, increasing your risk of exposure. That means whether you’re out on the slopes, playing in the snow, or just walking through a parking lot on an errand run, it’s just as important to be applying sunscreen in the harsh winter weather as it is in the summer. As the body ages, its natural ability to regenerate new layers of skin slows down. Gentle exfoliation will slough off old skin cells and reveal fresh, glowing skin. The first thing which bikers do when they wish to improve the performance of their motorcycle is check on possible upgrades. The very first thing that a rider does after losing the race by just 2 seconds is to improve his Honda motorcycle. Though it is impossible to change all the aspects of your bike with aftermarket parts but tweaks and upgrades are worthy enough to enhance power and improve the performance of your bike overall. Whether you want to enhance your bike for extra power or replace the finally worn out parts or go for a replacement upgrade, or just give a new look to your bike, genuine honda motorcycle parts are very important. You may spend hundreds or thousands on upgrade, but it won’t be worthy till the time you have genuine parts in your hand. Here are the 5 cheapest ways to improve your Honda motorcycle performance. The very first upgrade before you dump a good amount of cash on your expensive motorcycle is to upgrade you. Sometimes it is good to get some nice perks and tweaks for you. right from getting a good helmet to wearing the right bike rider jacket and enhancing your bike riding skills is very important. Get new lessons about different riding styles and do not hesitate in asking for feedback. Replacing the standard air filter with aftermarket part is a cheap to boost the performance of your motorcycle. It enhances the airflow and maintains good filtration. It is an easy modification which can be done by an online purchase too. When you wish to improve your bike, an important thing to do is replace your stock lines with stainless steel lines. It gives you enhanced control and better feel and looks tidier. The brake pads complement the improvement look of your bike too. You can choose from semi and full metallic pads. You should also check brake disc and match them with the pads. Improving your braking system will vitally affect the performance of your bike. Apart from lowering down the weight of silencer, performance exhausts also make your engine push gas quicker. It allows your bike to burn fuel quickly and cause lesser stress on the bike. Honda powersports parts add pleasure to your riding and make it look amazing and function better. Tires are yet another modification which can help you enhance your motorcycle’s performance. Better tires have good grip and higher friction on the road, avoiding any slippage or crash. Thus, changing your bike tires is also very important. There are several ways to get more juice from your steed. Go with easy to follow modifications from the items mentioned above. You can shop for all these 2 wheeler and four wheeler parts from the comfort of your home. The best thing is they are affordable and work splendidly even in the long run making your bike look better and perform better. One thing that is confusing about the law is that it is always changing. The things that you are familiar with may become more complicated in the future. It is best that you keep yourself updated with the changing laws. This way, you can prevent yourself from making mistakes. Why not contract a traffic ticket lawyer? The lawyer will be able to give the information that you would like to get. If you do not understand what a nonbinary means, this is the type of gender that is used for those who are considered to be “queer.” This means that the gender that the person identifies with is neither straight male or female. You can ask traffic ticket lawyers near me for more details. Those who have gotten a DUI more than once or the DUI has resulted into a more serious situation, the ignition of the car has to be interlocked. This is a very useful traffic law so that other DUI drivers will become more careful because they will surely be monitored. There is a fast lane that is available in some of the highways of California. 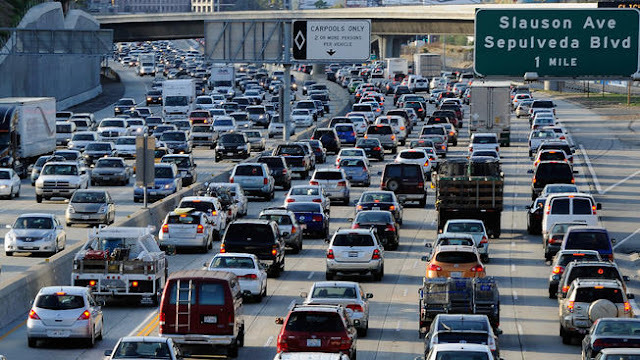 The fast-lane is only applicable to people who have no history of harmful emissions that may come from the vehicle. There are going to be smog checks for cars that are beyond 8 years old. This can be very useful for people who would like to see if their cars are still in their perfect working condition. Another strict rule that is being followed is the fact that people have to pay when their muffler is a bit noisy. Those who have noisy mufflers should change their mufflers soon or they may need to contact their speeding ticket lawyer los angeles very soon. Who loves chocolate? I know all of us loves chocolate but then we tend to look for more affordable but tastier one when we are on shopping. We Filipinos are now smarter in terms of food choices especially when we are shopping local brands, like Goya, step up by serving world-class quality chocolate spreads that won’t break the bank. With double the amount of rich hazelnut goodness, this Germany-made goodness is true salvation to chocolate lovers. Spread it on your waffle, use it as a regular spread, or eat it straight out of the bottle. With its friendly price point, even the most discerning and price-conscious consumers surely won’t feel guilty enjoying this treat. Smart shoppers need smart choices, and Goya has definitely provided it with its range of products. Once again, the brand has proven that you can enjoy the food lifestyle that you want--double of it even!--without going out of your budget. 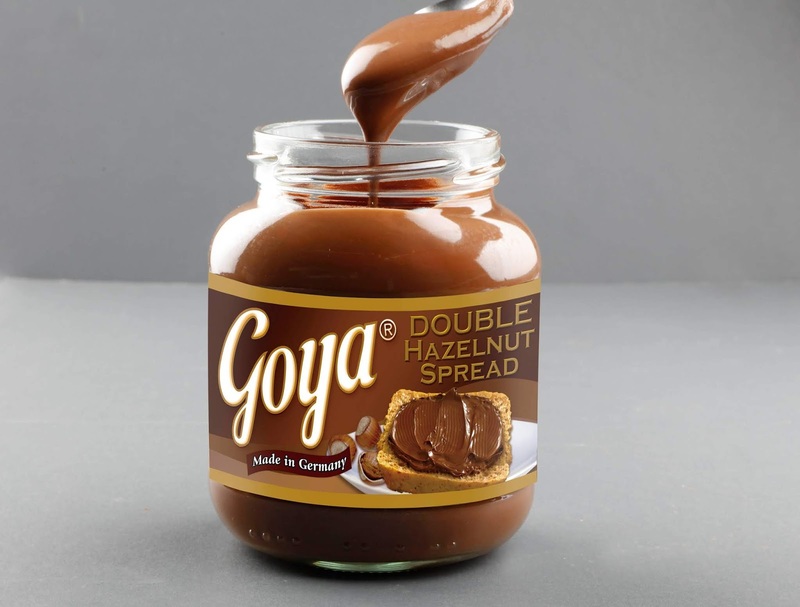 The Goya Double Hazelnut Spread, which only retails for P154 SRP for a 350g is a whopping half the price of another popular spread brand in the market. It is sure to become a practical favorite of kids, mothers, cooks, and even the regular, chocolate-loving Pinoy. It’s also available in 750g for only P297 SRP. Other Goya chocolate spreads variants are Choco Hazelnut, Choco Hazelnut and Milk and Rich Choco which are available in 400g at P139 SRP. Make sure to get yours now in the nearest supermarket, or convenience store near you.